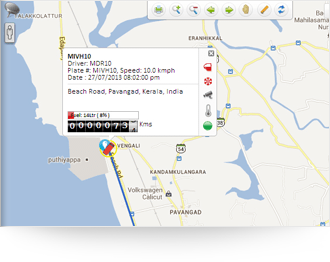 Soon after a vehicle is parked, AVLView creates an automated surveillance fence. 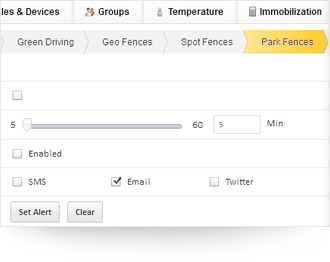 If the car moves beyond the virtual fence, you receive immediate SMS and/or email alerts. Every year, millions of vehicles are stolen. Whether it’s a teenager looking for a joyride or professional burglars in search of valuable items, theft is a major concern for all vehicle owners. 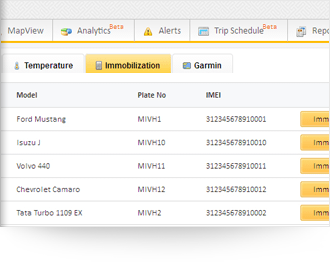 With immobilization, our prime anti-theft feature, you can stop a vehicle remotely. To prevent accidents, the system waits until the vehicle stops to immobilize it. Equip your drivers with unique identification devices like iButtons or RFid’s and receive notifications if an unauthorized person swipes into the car. 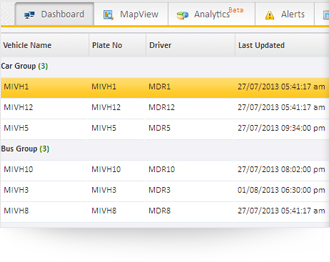 With AVLView, you can keep a history of your vehicles for up to 6 months, virtually following a vehicle’s routes and stops.